GuardTop® Asphalt Based Sealcoat is a leading sealcoat product for parking lots and asphalt surfaces in all types of residential, retail and commercial properties. GuardTop Asphalt Based Sealcoat is specifically formulated from unique base stocks and mineral aggregates and is designed to protect and beautify existing asphalt surfaces. It contains no coal-tar and remains environmentally friendly. 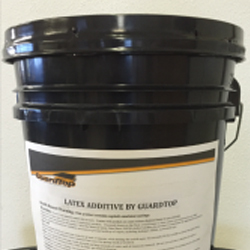 GuardTop is engineered with a high solids content to make it tougher and longer lasting. GuardTop® Ultra is a high performance mineral and fiber reinforced asphalt emulsion blended with polymers and special additives for outstanding adhesion, flexibility, and durability. GuardTop Ultra restores the asphalt binder lost through oxidation and weathering, while providing a durable surface treatment. GuardTop Ultra helps your pavements look new again, providing the surface with a deep, rich black color and protection against raveling and cracking due to aggregate loss. TRMSS is a high-quality tire rubber, asphalt emulsion that utilizes 20-27 recycled tires per lane mile. It provides excellent UV protection and weather resistance. 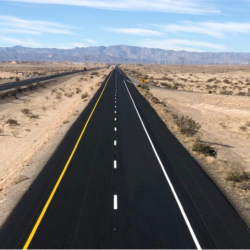 TRMSS is a stable, environmentally friendly, ready to use sealer that provides superior asphalt protection and extends the service life of pavement. Recommended for use on highways, highway shoulders, city streets, county roads and airports. Cold Pour Crack Filler by GuardTop® is a high-performance pourable product that helps put a stop to damaging water penetration into your asphalt. Use before applying GuardTop Sealcoat, CoolSeal or GuardTop Ultra. 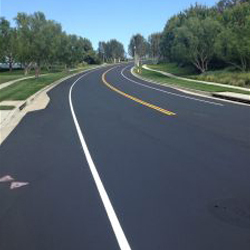 A rubberized asphalt emulsion with greater flexibility designed for sealing narrow pavement cracks up to 1″ in width in asphalt and concrete surfaces. It has resilient characteristics that allow self threading or memory. It has excellent flow properties and no pinholing. 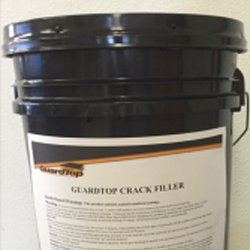 Cold Pour Crack Filler by GuardTop is ready to use on roadways, parking lots, airports, athletic courts, driveways, pathways, traffic safety islands, playgrounds and walkways. Hot Pour Crack Filler by GuardTop® is a high performance hot applied polymer modified, recycled rubber asphalt crack sealant. It is formulated to provide a resilient, firm, fast curing sealant eliminating the risk of “tire pick-up”, and which is also highly resistant to power steering marking on pavements having high surface temperatures. In its molten state, Hot Pour Crack Filler by GuardTop has excellent flow properties ensuring total penetration of the cracks without voids or air pockets. Hot Pour Crack Filler by GuardTop is particularly suitable for use on both asphalt and concrete pavements in warm and hot climates. 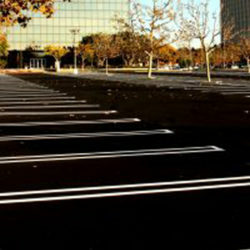 Hot Pour Crack Filler by GuardTop is designed for parking lots, streets and highways where heavy traffic is a concern. Latex Additive by GuardTop® helps add extra toughness and flexibility to the final sealcoat, especially in areas with high traffic and extreme weather conditions. 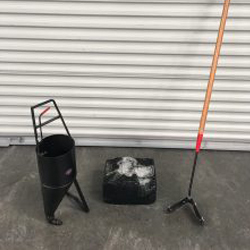 Latex will improve performance by helping to suspend the aggregates within your sealer mix design and keep it more uniformly dispersed making the surface last longer. Consult your GuardTop representative when specifying your project to learn more about its benefits. 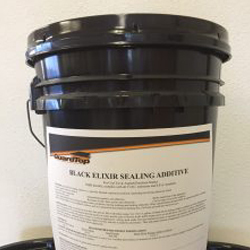 It is recommended for faster curing of asphalt sealer and power steering marking and tracking reduction. When specifications demand traffic be opened up quickly, use Black Elixir Rapid Dry Additive on any asphaltic surfaces such as commercial and industrial parking lots, fast food and mall lots and driveways. 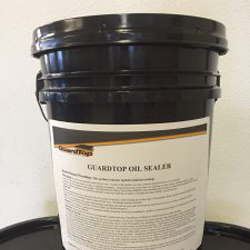 Oil Spot Primer by GuardTop® should be used prior to sealcoat application. Sealcoat will not adhere to surfaces with excessive oil and grease. For a quality job, clean all oil and grease deposits with a degreasing solution using a stiff bristle broom or a power operated broom. Areas completely saturated are recommended to be removed and replaced with new asphalt. Then apply Oil Spot Primer by GuardTop® to all oil and grease stained surfaces. Simply brush in Oil Spot Primer by GuardTop® to the surface insuring full coverage over the stain.